We are really excited to be working with Hestia Home – a fabulous small business member who runs stunning craft courses from their Peak District base. Helen is a passionate up cycler and about re purposing old things to make our homes beautiful. She uses Frenchic chalk paints and provides tutoring to allow you to transform your home. Helenalso runs other workshops like ‘How to Create a Hand Tied Bouquet’ , Decoupage, Image Transfer and Ageing techniques for furniture. Learn how to use Frenchic® toachieve fantastic results upcycling your furniture, from prepping your piece through to finishing. You will practice two colour wet and dry distressing, dry brushing on a board before you start painting your piece. You will learn in a relaxed and friendly environment and leave with the confidence to tackle your next project. There will be a range of colours and finishes available. 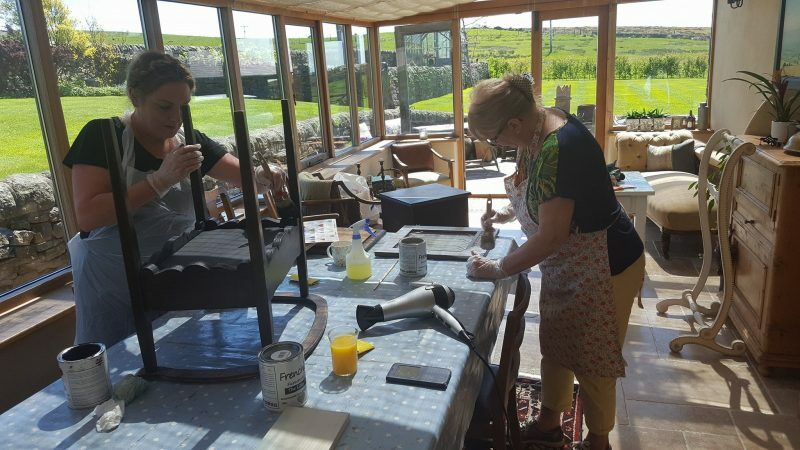 You will need to bring a small, clean, unpainted item to paint (side table, stool, frame, etc), an apron and a hairdryer. Our competition is to win a workshop of your choice worth up to £50 in this beautiful part of the world. It is worth noting too that Hellen also has accommodation called The Old Byre which you could book to create a weekend away. To enter the competition and be in with a chance of winning this stunning Craft Course prize, simply fill in the form below and we will pick a winner on May Day (May 6th). Please Note: Closing date in May 5th at 6pm and the judges decision is final. There is no cash alternative to this prize and the the prize needs to be used by the 31st of December 2019. The prize does not include travel or accommodation but Helen can help you with arrangements to get to her stunning location. Be the first in line to hear about more competitions, get our news, reviews and small business stories into your inbox. If you want to hear from us, please check the box.